Thank you for visiting my website! 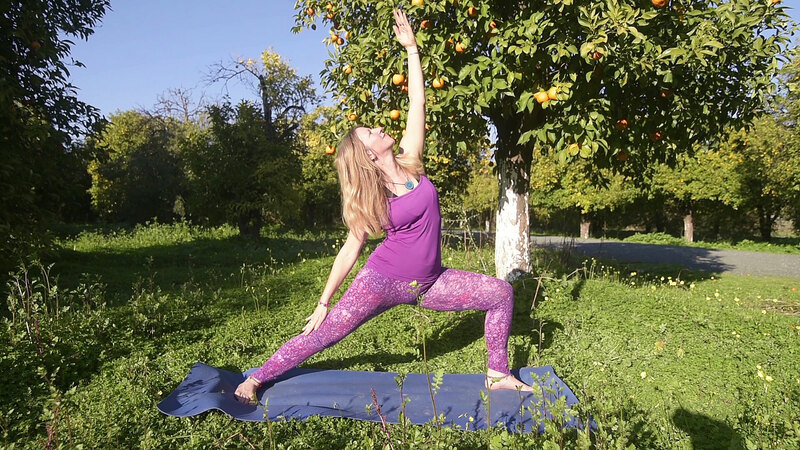 If you are looking for regular or individual yoga classes (hatha, vinyasa, restorative yoga) in Seville, Spain or via webcam directly into your home then you can find all info here via the menu buttons above. 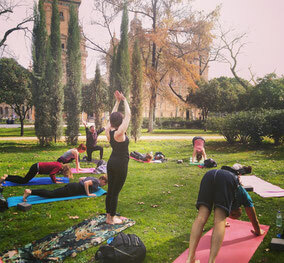 If you are visiting Seville, please feel welcome to join any of my indoor or outdoor classes or book your private yoga session that I would always design for your personal needs. I teach in English, German and Spanish. 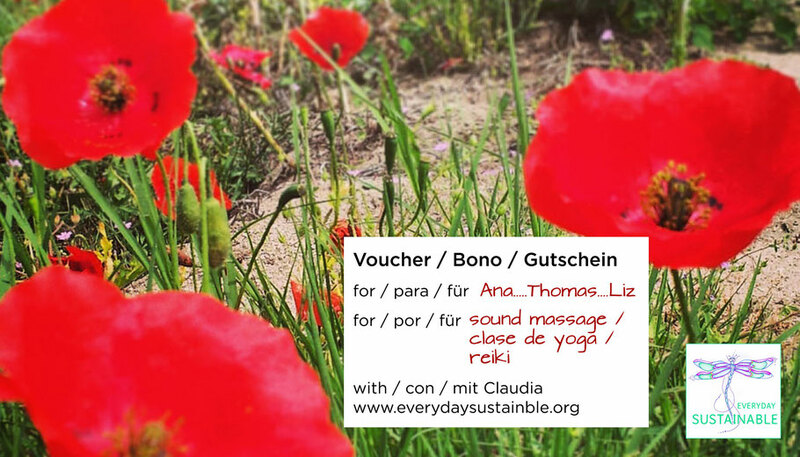 If you feel like treating yourself to something really wonderful, I would like to recommend that you try out a sound massage with Tibetan singing bowls and gongs. Or maybe join one of my gong baths. You can also contact me directly any time for more information. 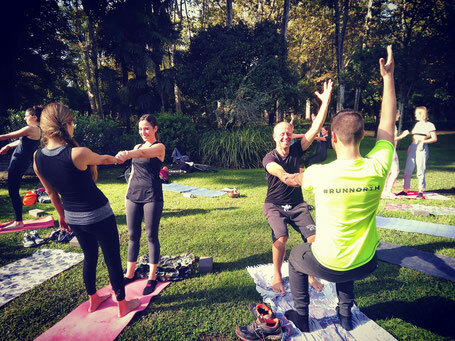 Every Saturday from 12 to 1:30 pm I teach a yoga class under palm trees accompanied by the singing of naughty green parrots. Afterwards we go for a coffee together to create a more community. 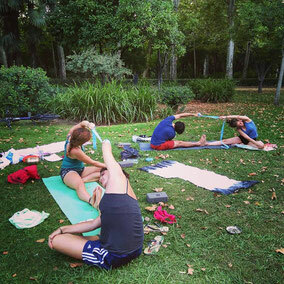 Once a month the yoga class is followed by a picnic. Everyone brings something to eat along for sharing. Sometimes some people bring their instruments and we have an impromptu jam. Come and join us when you are living in Seville or just visiting. Everyone is welcome! If you happen to be in Seville, come and join one of my gong baths. The next gong bath will be on 28th April 2019 in La Sala del Àrbol. Expect an hour of wonderful powerful sounds, meditation and profound relaxation. You can find my meditations, yoga nidras and bedtime stories on the wellknown App Insight Timer. 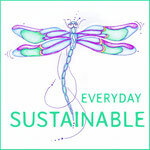 Direct link to my meditations, Listening to them is for free. Du kannst meine Meditationen, Yoga Nidras und Gute Nacht Geschichten auf der bekann App Insight Timer finden. Hier geht es direkt zu meinen Meditationen. Vollkommen umsonst. Are you looking for a thoughtful present (for loved ones or yourself! 💓💓) that don't pollute our planet and truly make the person happy who will receive it? One hour of a blissful sound massage or a private yoga session might be such a present. Please contact me for more info and to purchase a voucher.